Tovuz district is located in the western part of Azerbaijan on the border with Georgia and Armenia. The name of the city in accordance to the ancient Turkish written sources descended from the merge of the names of two kindred Turkish tribes – Oguz and Toguz. This merge took place exactly here, that is why it was fixed as a toponym. 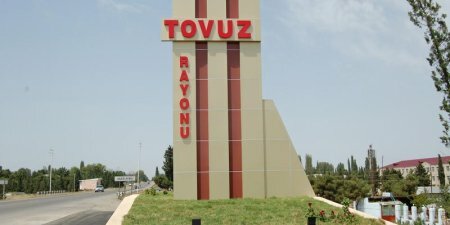 Tovuz has a rich history and a lot of places of interest. Rivers Kura, Akhindja, Tovuz, Zyam run here. There are many forests on the mountain slopes rich in flora and fauna as well as places where springs are purling. It is home for wolves, foxes, hares, francolins, partridges, etc. It is permitted to hunt mostly hares and swimming birds. The biggest tourist attraction in Tovuz is a hotel “Ayan Palace”. At the well equipped territory of this hotel a big restaurant, a banquet hall, a spa, a swimming pool and fitness centre are functioning. Tourists often stay with local residents who rent rooms or houses. You can also rent a room at the local motel “Gunay”. There are many restaurants in Tovuz and the largest of which are “XXI Century”, “Anar”, “Vladivostok”. 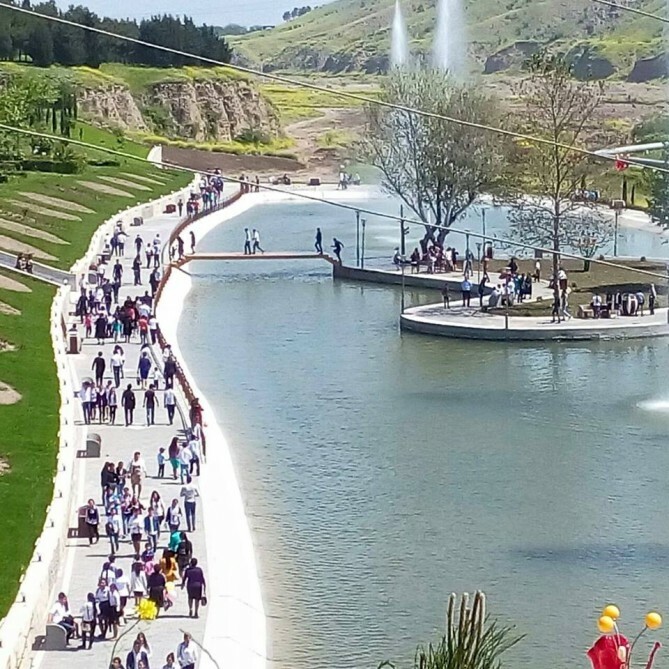 Like in most cities in Azerbaijan there is a very well equipped park almost at the entrance to Tovuz.